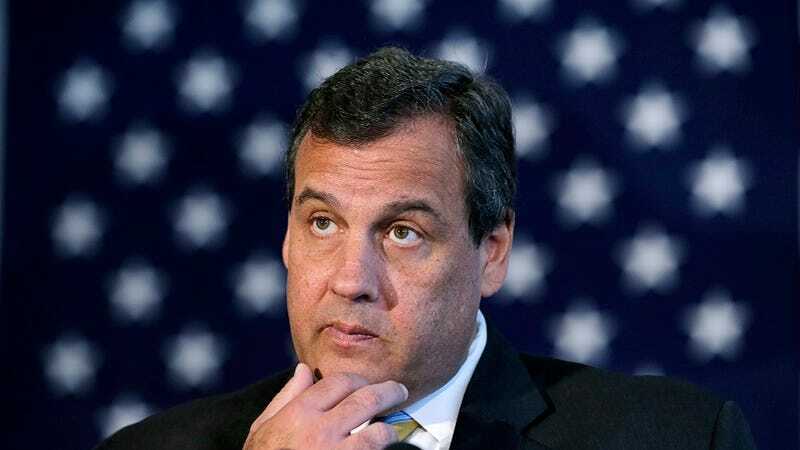 New Jersey Governor Chris Christie has ordered the head of New Jersey’s National Guard to lose some weight. In a pun-filled story, CBS2 reports that Air Force Brigadier General Michael Cunniff was reprimanded by the Pentagon for failing and skipping physical fitness tests. Christie, who appointed Cunniff and is his boss as the state’s commander in chief, didn’t want to talk about the situation on Tuesday. But in statement, the governor, who has struggled with his own weight for years, including undergoing Lap-Band stomach surgery, said Cunniff didn’t tell him he was reprimanded. But since the military is apparently like a teen movie, filled with cliques and proverbial means girls, CBS2 managed to find somebody to shame Cunniff. “Look, you’re a leader, you’re a general, you have a responsibility to your troops to make sure that you’re physically fit,” a retired Navy lieutenant said. Pretty sure Cunniff gets it, dude. Christie, who most definitely still doesn’t want to talk about this story, has given Cunniff 90 days to lose weight.